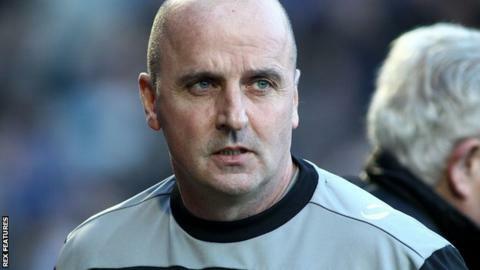 Portsmouth boss Paul Cook said the closing moments of their draw at Morecambe "couldn't have been made up". Pompey were denied all three points when Shrimps goalkeeper Barry Roche headed a 94th-minute equaliser. It denied Portsmouth the chance to move back up to fourth in League Two after midfielder Gareth Evans had given them a first-half lead. "Sadly for us, we couldn't see it out. It's been an Achilles heel for us recently," Cook told BBC Radio Solent. Morecambe goalkeeper Roche's goal from a stoppage-time corner was his first in 493 career appearances. "You couldn't make it up towards the end of the game," Cook added. "Great credit to Morecambe sticking to the end and getting a point. "We're disappointed that we didn't go on and get a second goal. It would have killed the game. "But, that's life and you have to get on with it. At the end of the season, people will add all the points up and you get what you deserve."